Learn Visual C# Tutorial / CSharp Traning with Questpond. It is only place where you will get complete C# tutorial videos, articles, e-books and other free youtube videos. Mr. ShivPrasad Koirala - Microsoft Most Valued Professional / Software Architect having more than 25 yrs of exp. He is well-known author for books like Software Architecture: Interview Questions, C# and ASP.NET Projects, Networking: Interview Questions, JAVA/J2EE, Software Testing, Project Management etc and recorded more than 1500+ videos, 3000+ articles. Codeproject, C# Corner, DotNetFunda and Microsoft since 2009 awarded him as Most Valued Professional. C# or C-Sharp or csharp os a type safe object oriented programming language which enables developers to create variety of secure applications, windows form applications, web services, database applications, websites and much more that runs of .NET framework. Visual C# 2015 a code editor presented by Microsoft to ease developers for developing robust applications using code editor, tools, convenient user interface designers, debugger and .NET framework platform. C# syntax is highly expressive and easy to learn curly-brace syntax and other syntaxs of C# will easily understandable to those who already familiar with Java, C, C++ programming. As we discussed earlier that c# is an object oriented languague benefit of this it will support concepts of abstraction, encapsulation, polumorphism and inheritance. We can encapsulate any class using access modifiers available in Csharp (Private, Public, Internal, Protected and Protected Internal). In addition to these OOPs principle, Csharp makes it easy develop any code for software components by using struct, class, properties, Attributes, variables, LINQ (Language-Integrated Query) which provides built-in-query capabilities, Inline XML, Interop (It enables to interact with other windows software like Win32 DLLs and COM objects). C# even supports pointers and the concept of "unsafe" code for those cases in which direct memory access is absolutely critical. 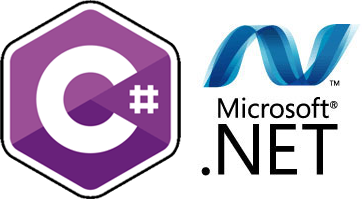 Now let's understand C# step by step program execution, Csharp runs on a .NET framework platform which is an integral component of Visual Studio 2015 that includes virtual execution called CLR (Common Languague Runtion) with set of class libraries. When we write any code in csharp language actually CLC.compiler takes that code and compiles into half partially compiled code which is nothing but IL code or Intermediate Language Code or MSIL then as per machine configuration Just-in-time compiler takes half compiled code and makes it to full compilation. All these process is been executed on CLR which a heart of .NET framework. CLR also provides common datatype system and common language specification which helps to interact with other languages like VB, F# so on. For unused objects CLR performs automatic garbage collection to clean application. In Csharp you will also get exception handling and resource management to handle exceptional errors and object memory management. These are some of benefits and explanation of using C# sharp language. We should thank Visual Studio Microsoft for providing us such a user-friendly programming language and development studio which enabled us to create best robust applications. Questpond and his team loves to work on .NET platform and C# language. Questpond is an educational IT firm running since 2002 by Microsoft Most Valued Professional Mr.ShivPrasad Koirala which focuses more on .NET technologies like CSharp (C#), VB.NET, ASP.NET, AngularJS, Microsoft Business Intelligence, MVC, MVC 5, WPF, WCF, WWF, Sharepoint, Silverlight, SQL Server, Visual Studio 2015, Java, UML, Algorithms in C#, Estimation, Project Management, ADO.NET, AJAX and many more. Like Pluralsight, Channel 9 and Microsoft Virtual Academy we do take offline trainings at Andheri - Mumbai India. By far we known as the best step by step learning platform for developers. We are actively into training either offline (@Andheri Mumbai), Online (via Skype, Microsoft meeting) and more than 2000 corporate trainings. We are not only just into training but we do provide indepth videos with source code and explanations. 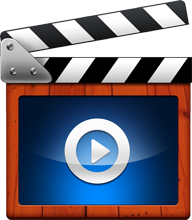 We have covered more than 600 videos including (.NET, Java and SQL Server). If you want Full DVD delivered to your doorsteps except for Pakistan, Gulf region and Bangladesh then feel free to visit order now page or let us know via below mentioned contact details. Everything mentioned above is just not only about videos and leave the developers on their own but we also provide online support via Microsoft live meeting. If you are not at all satisfied with our teaching then don't worry we do have money back policy for un-satisfied customers . If you want to learn C Sharp step by step / Get C# Tutorials kindly contact us our expert faculty in a below mentioned details. Copyright © 2019 learn CSharp Tutorials. All Rights Reserved.